博多の和風宿ゲストハウス界音 Guest House Kaine ブラックデー What's BLACK DAY ?? ブラックデー What's BLACK DAY ?? Shuto has gone finally who was always writing this blog. Although it isn't famous in Japan, It is Black day today! who didn't get anything on Valentine day and White day. also on White day (3/14) men give someone who they love something ( jewelry or something expensive is welcome) lol. 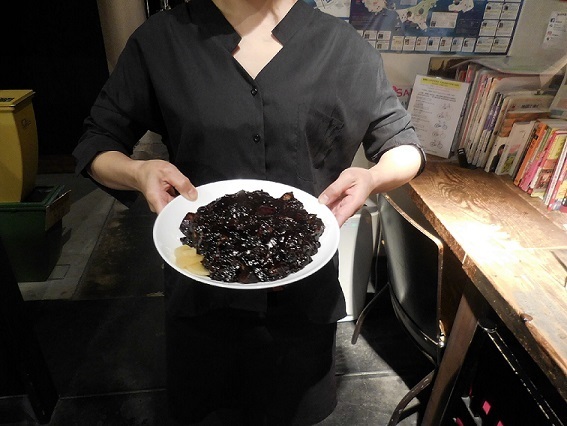 That kind of people wear some black clothing and eat black noodle . It's kind of irony but nice timing to show that I AM SINGLE ! 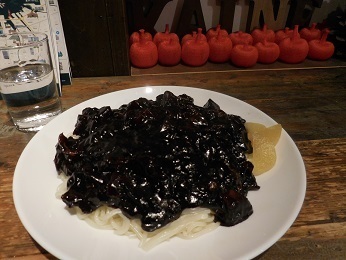 The black noodle is made by chinese source with some vegetables and meat. Nothing can't be seen in this picture tho. I also ate a lot! Hope we don't need this anymore next year !!! !